"Powerpoint" range of Coolant pumps have been designed especially for filtering systems in the machine tool industry. The low-pressure pumps are available indifferent flow variants and come with a choice of bottom suction or suction from the top of the volute.The compact coolant pumps efficiently transport liquid containing chips, fibers and abrasive particles on to the filtering unit. Semi open impellers allow the passing of chips up to 10 mm, making the pumps ideal for removing liquid from any machining process- from boring and milling to grinding. High – Quality materials :- Carefully chosen materials ensure trouble free operation and long life the top of the pump is made of cast iron, while the impeller is available in composite Bronze/aluminum/engineering plastic etc are used in pumps with flow up to 1000 l/min. in the bigger pumps with higher flow the impellers are made of bronze to ensure perfect Resistance to e.g metal chips. As the pumped liquid will always contain oil there no risk of Corrosion. Easy Installation:- Easy installation is another of the benefits of the pumps. The tank –mounting flange dimensions’ have been carefully designed to ensure that even replacement of compacting products can be carried out without any inconvenience no special tools are required to the Installation of the coolant pumps just as the entire range is easily serviced and cleaned. Available in very wide range.High Flexibility of Design. Availability in any type of material like CI, SS-316,SS-304, Bronze , Alloy-20 etc. Balanced Shaft & Rotor with excellent grade stamping & wire so highly efficient motor Totally Noiseless Operation. Available in any length and for any Liquid. Extruded powder coated motor body (up to 1 hp) No shaft seal (100% Maintenance free .) Semi Open Impellers (Ensure free passage of solids and chips) Large stock, Earliest Delivery. Standard Coolant pumps. Coolant pumps with DC motor. Coolant pumps with flame proof motor. Coolant pumps with “C E” and “UL” Mark Motor. Custom built coolant pumps for different lengths. Very high discharged pump. Very high head pump / High pressure pump. Pumps in special material like stainless steel, bronze, PP, alloy – 20 etc. Multistage Coolant pumps. Coolant pump without stem. 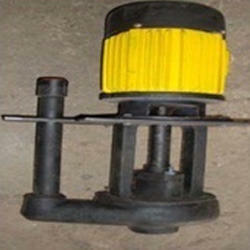 Coolant pump for oil (gear type). 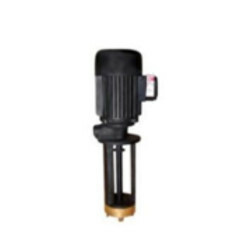 Submersible Coolant pumps. We are one of the leading organizations engaged in manufacturing, supplying, wholesaling and exporting high quality Single Stage Coolant Pumps. The offered range of products is manufactured using high quality material that is sourced from vendors of high repute after scouring the market. 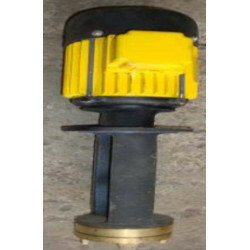 Moreover, we offer these pumps in various specifications. 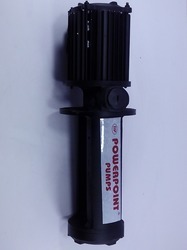 This is our range of Single stage High Discharge Coolant Pump. The offered single stage high discharge coolant pump is a unique fabrication for catering to the submersible pump applications. Our supplied single stage high discharge coolant pump is easy to install and operate. This is our range of Multistage High Head Coolant Pumps. Our pumps are accessible in different determinations according to the requests of our customers. Offered Multistage High Head Coolant Pumps are produced utilizing ideal evaluation essential material and most recent innovation. Inferable from their tough outline and rust confirmation highlights, the offered pumps are generally requested among our customers. 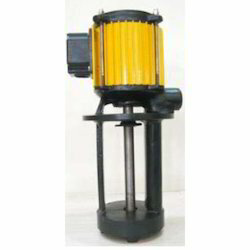 Further, Our famous customers can profit these pumps at most reasonable costs. Looking for Coolant Pumps ?